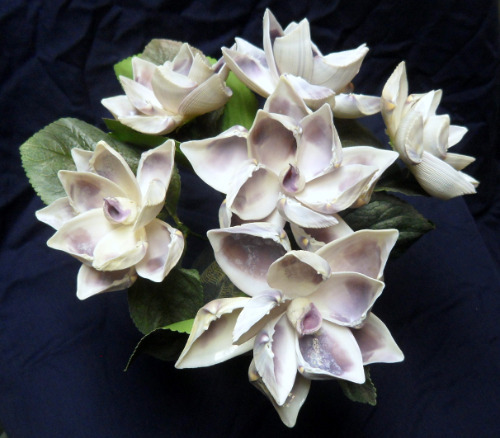 Six purple and white seashell crafts flowers made with the large donax seashells and the cebu beauty shells for the centers. The blooms are 4 inches to 6 inches wide and all are on 9 inch stems. Great for any nautical, beach, or traditional home decor. No vase is included with these flowers.